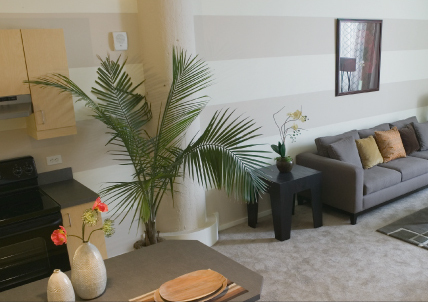 Choose from several floor plans the one that's right for you -- each loft is individually crafted. Abundant natural light floods every space through the factory-sized windows. Exposed brick walls and Retro fittings echo the building's industrial past, while you enjoy the modern convenience of stainless steel kitchen appliances, washer and dryer in each loft, and high-speed internet access. Your lifestyle fits perfectly in this spacious, sleek environment. Spacious modern rooms await your personal touch. Redesigned from the frame out, each loft is uniquely crafted within the historic 1913 structure. 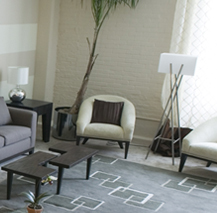 Factory-sized windows reach to the 13-foot ceilings bringing Philadelphia's skyline into your living room. Each loft reveals a different aspect of the city. Kitchens cater to your 'inner chef' with stainless steel appliances, craftsman finishes and breakfast bar. Don't sweat the details, we did it for you.